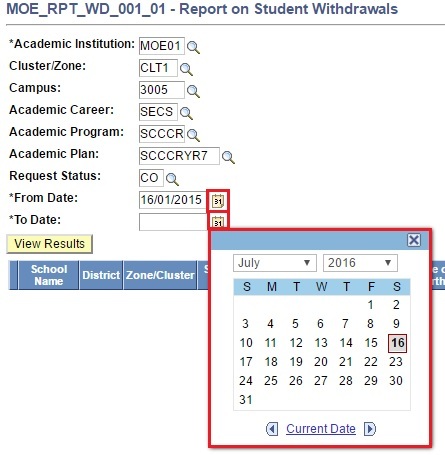 This function allows the users to view the Student Withdrawal Request Reports. Enter ‘MOE_RPT_WD_001_01’ as the *Query Name. 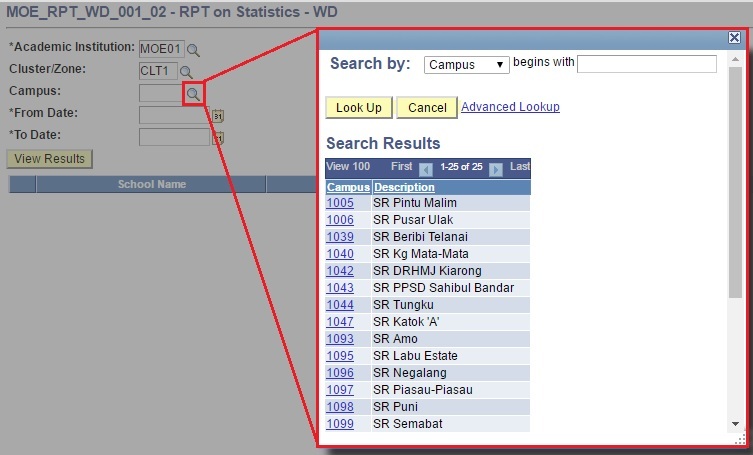 Click on HTML link to open a web page to enter the input to run the report and the results will be displayed on the web page. 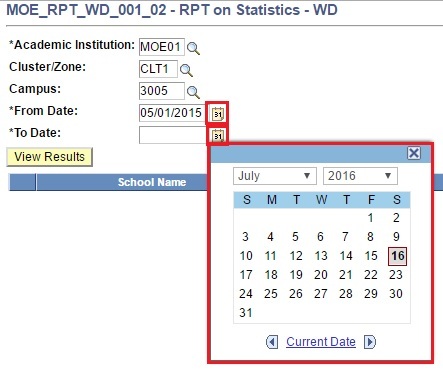 Click on Excel link to open a web page to enter the input to run the report and the results will be opened in an Excel worksheet. User will be directed to the Detailed Report for Withdrawal. Click on the SpreadSheet link to download the Report Results in an SpreadSheet. Enter ‘MOE_RPT_WD_001_02’ as the *Query Name. 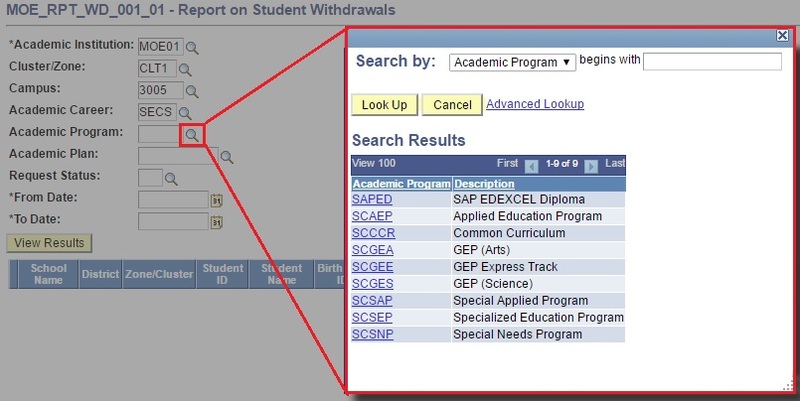 User will be directed to the Statistical Report for Student Withdrawal.